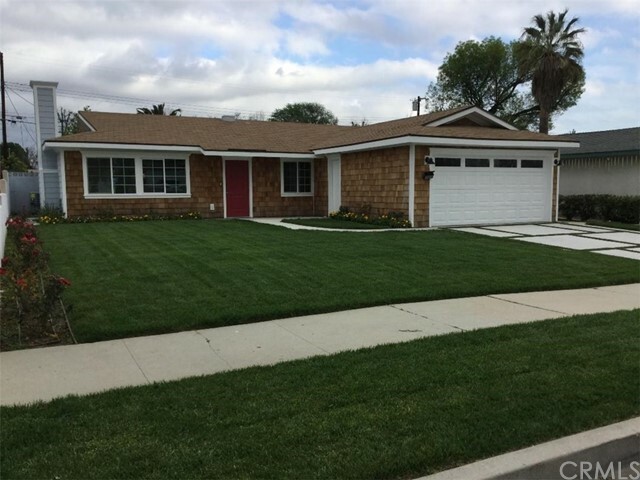 All North Hills homes currently listed for sale in North Hills as of 04/25/2019 are shown below. You can change the search criteria at any time by pressing the 'Change Search' button below. If you have any questions or you would like more information about any North Hills homes for sale or other North Hills real estate, please contact us and one of our knowledgeable North Hills REALTORS® would be pleased to assist you. "16326 Nordoff Street, is a 27,700 Sq. Ft. redevelopment site/single family with a building size of 1,700 Sq. Ft. The property is equine zoned (ZI-2338 and zone A2-1. The lot has two alleys entering the property and will be delivered vacant at COE. Buyer to do their own due-diligence regarding redevelopment." "STOP RIGHT HERE! An incredible opportunity to own Real Estate with great potential to live in and/or establish a business for possible extra income.Set in North hills, this remarkable property offers 16,857 SqFt lot and the main house being 2,480 SqFt with 7 bedrooms and 4.5 Bathrooms, along with a fully independent Guest house, You will appreciate the interior setting of the main house offering a spacious living room, with wooden flooring in the living areas. The bright kitchen is complete with custom made cabinets, marble countertops, Chef's Gas stove oven, and build in stainless steel appliances and much more!Must see! The exterior setting is adorned with a beautiful front and back yard with includes a variety of flowers, succulents, lush landscaping and shrubs and multiple sitting areas for enjoyment.The private Guest house has access to the garden with fruit trees and BBQ area. There is ample parking space for RV, Boat and more. This listing has so much to offer so bring your imagination and create an ideal opportunity for yourself." "An immaculate 4BR + 3BA + POOL ESTATE DEBUT! 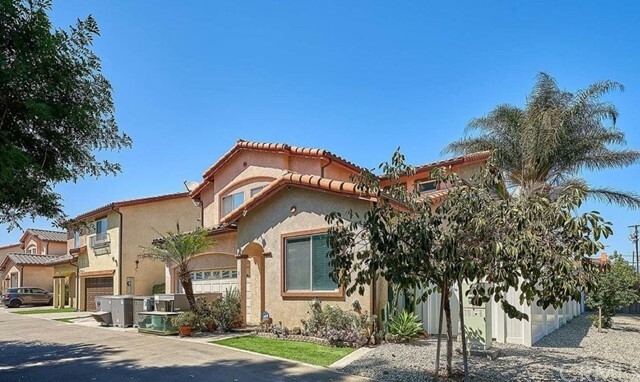 Residing in a prime North Hills West area is this unique & spacious home with over 17,500-SQFT of land, an automatic gated entry with a large circular driveway & 2 detached car garages with RV or Boat access possible. Upon entry find an inviting formal living room with a fireplace, crown molding & large windows with a lovely view. East/West wings of the home have 2BR on each side that are well-lit & spacious with ample closet space. Enjoy cooking in a kitchen equipped with granite counter-tops, well-crafted cabinetry, a pantry & a breakfast bar, perfect for bar stool seating. Open to the kitchen find a family room nestled under a beamed ceiling with rich wood paneling, a brick fireplace, wet bar & double French doors that offers a view of your resort style like back grounds that helps amplify relaxation & privacy at its best! Throughout the home find custom windows, recessed lighting, sleek laminate & tile flooring with baseboard moldings. Other features include a Turnkey entry, copper plumbing throughout, new sprinkler system & a laundry area. The ultimate entertainers dream back-yard with a spacious open patio complete with a firepit, gated pool, lush green grass surrounded by an abundance of large mature trees that provide beauty & shade. Bonus feature This home comes with a guest/pool house with a kitchen & a full bath! 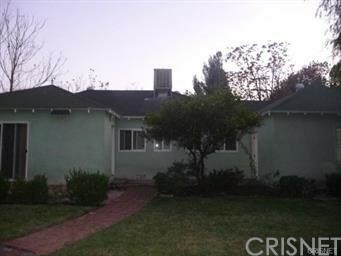 Don t miss this great opportunity to own this Family Oasis, close to shopping, freeways & schools!" 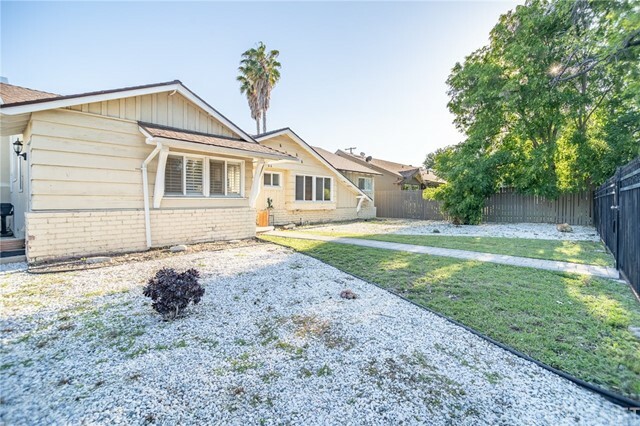 "First time on the market in 32 years along side of Bull Creek,with famous CSUN only few blocks away, this home presents almost 15,000 sq.ft lot with 2,800 sq.ft of living space(permitted 2,500 sq.ft plus additional 300 sq.ft. without permit). Petit circular driveway enables to an easy pick up/drop off of passengers. Home had a major face lift 2 years ago:recess lights,dual pane windows,new kitchen with modern hue, engineered wood floor and completely updated bathrooms.Ground level designed for wheel chair friendly-direct access to shower, ramp from added bedroom to Family room. All makes Long/short term stay for your elderly relatives pleasant. Endless property line and back alley access with extra parking let you imagine many projects. Property is sold in AS IS condition. All information are deemed reliable by public record & seller. Buyer to verify accuracy of provided information through any source necessary." 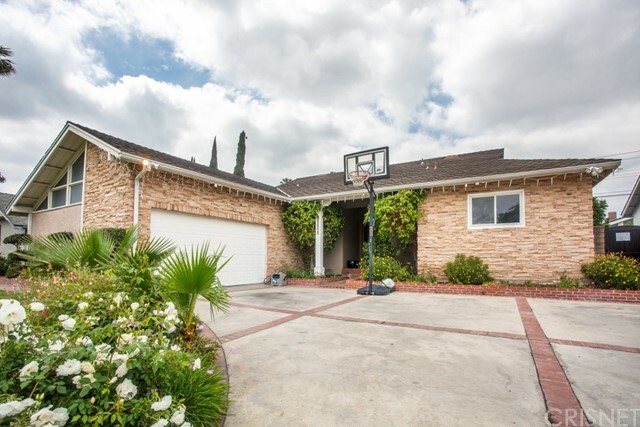 "Spectacular home in a desirable neighborhood with top quality upgrades and remodeling. Custom stone facing, impeccably maintained. Spacious living room with fireplace. Glass doors to pool enhance large family room. Lovely formal dining area, remodeled kitchen, magnificent tile floor with adjacent breakfast room. Master suit with remodeled bath featuring custom vanity and travertine floors. Glowing bamboo flooring in most rooms. Dual pane windows, plantation shutters. Backyard features custom outdoor patio with newly stamped concrete and Sparkling newly re plastered pool ready for summer. Perfect entertainers backyard!" "PRICE TO SELL: THE PROPERTY PROFILE SHOWS 1,776 SQ. FEET, HOWEVER THE PROPERTY IS MUCH LARGER ACCORDING TO SELLER. SELLER WILL AGREE TO CREDIT UP TO $9,000.00, TOWARDS CLOSING COSTS AND OFFER A HOME WARRANTY WITH A FULL PRICE OFFER OF $679,650.00, ONLY!!! EXCELLENT CONDITION!!! 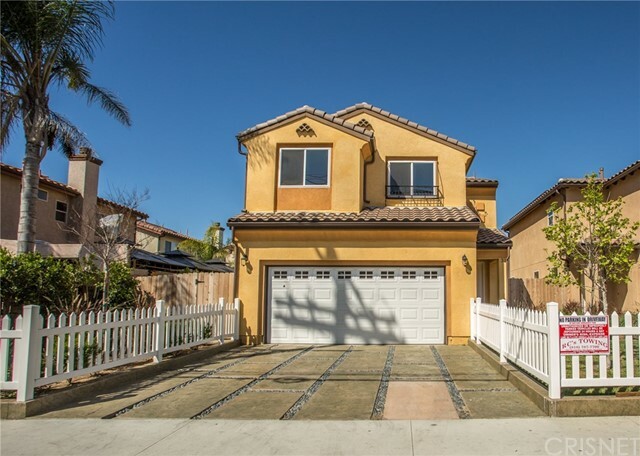 LOVELY EXECUTIVE 5 BEDROOM, 3 BATH 2 STORY HOME LOCATED IN NORTH HILLS, ON QUIET CUL-DE-SAC STREET, WITH DOUBLE CHERRY WOOD AND GLASS ENTRY DOORS AND MARBLE FLOORING THROUGHOUT DOWNSTAIRS. ONE BEDROOM DOWNSTAIRS WITH FULL BATH FOR GUEST OR FAMILY MEMBER WHO PREFERRED NOT TO USE THE STAIRS. SELLER HAS DONE MANY UPGRADES TO THE PROPERTY!!! IT IS A MUST SEE!!! NEW CARPET, LIVING ROOM AND FAMILY ROOM HAS GAS BURNING MARBLE FIRE PLACES, KITCHEN WITH GRANITE COUNTERTOPS AND STAINLESS STEEL APPLIANCES. WET BAR WITH GRANITE COUNTER AND DINING ROOM HAS FLOOR TO CEILING MIRRORED WALLS. MASTER BEDROOM WITH PRIVATE BATHROOM PLUS BALCONY. INDOORS ENCLOSED LAUNDRY AREA. NICE BACKYARD WITH COVERED PATIO. 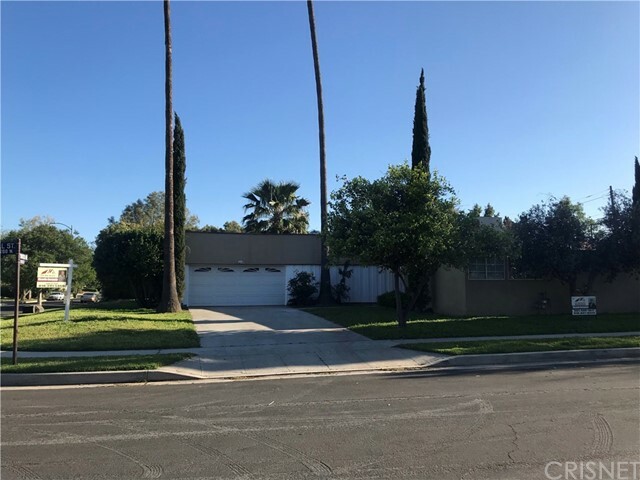 2 CAR ATTACHED GARAGE"
"STUNNING 4 BED 3 BATH POOL HOUSE ON A CORNER LOT IN THE HEART OF NORTH HILLS. 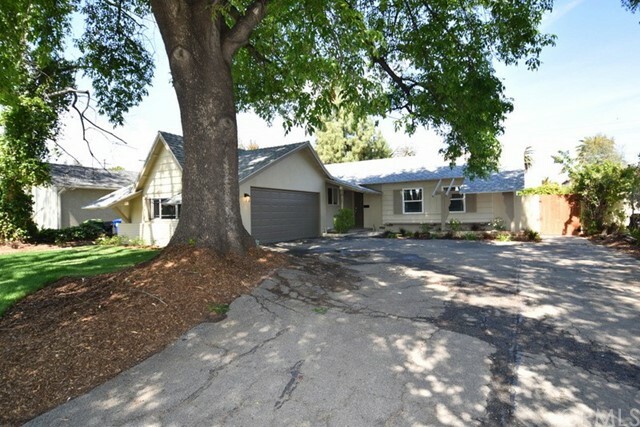 This home has been tastefully upgraded and remodeled from the floor up. The house has hardwood flooring trough out with the exception of the bathrooms. Kitchen has an island with a hood vent draped from the ceiling. The list goes on and on. Pictures and words do not give this any justice"
"Location! Location! Location! Upgraded & Expanded Home Located In True Pride Of Ownership Neighborhood! Owner Paid Solar! Stamped Concrete Driveway! Instant Hot Water! Recessed LED Lighting! Dual Pane Windows! Crown Molding! Hardwood Floors! Remodeled Kitchen Quartz Counters, Self Closing Drawers, Custom Cabinets, Garden Window, Sunny Breakfast Area & Lots Of Storage! Excellent Floor Plan! Master Suite With Jetted Spa Tub! Fabulous Family Room! Terrific Room Sizes! Drought Resistant Landscaping With Fruit Trees! Great Location! Close To Everything! Highly Rated Mayall Street Elementary School Nearby! 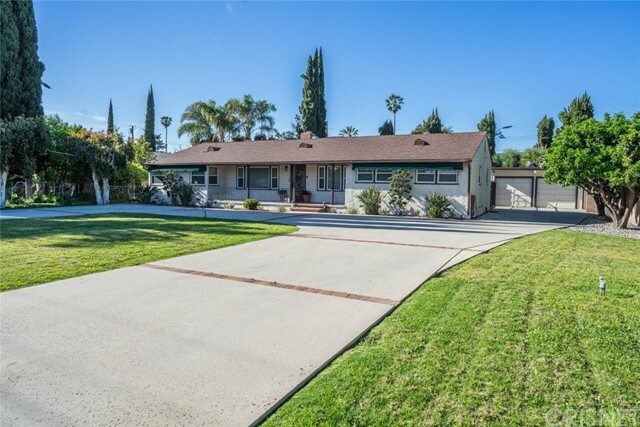 If You Are Only Seeing One North Valley Home In An Incredible Neighborhood In The Price Range, Make Sure This Is It! Must See! Standard Sale! Do Not Miss! North Valley Living At Its Best!" 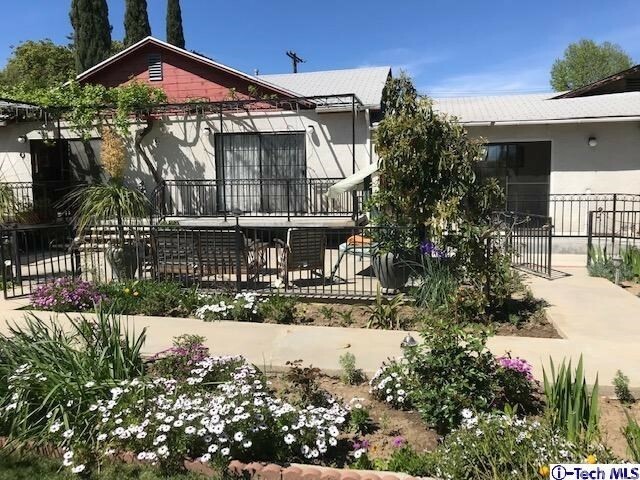 "This corner house is an outstanding single family residence located in one of the desirable area for investors or builders. It features 3 bed; 2ba plus a formal dining area. Living room has tile flooring and a nice fireplace for winter times. Pergo floors in all the bedrooms, Central air and heat keep this home cool in the summer time and warm on chilly winter evenings. Spacious front yard with an attached garage and RV access to park many cars. Centrally located with easy freeway access and close to stores, restaurants and public transportation. Per seller you can apply for zoning change at approximately 30,000 cost to build apartment building, two lot behind this one had already applied for Zoning change (in process). Buyer to investigate and do their due diligence." "Excellent opportunity to own this FANTASTIC home with a beautiful / spacious floorplan, including large livingroom with a separate (huge) family room, both with fireplace view, new laminate flooring throughout, new granite kitchen counter tops, new light fixtures, newly upgraded shower stalls, new interior paint, new roof and as if that's not enough - sparkling blue pool to enjoy on those hot summer days!! This fine home has it all - Seller is entertaining all offers between $649,900 - $700,000 - this property will NOT last!!" "ONE OF A KIND. Seller spared no expense. Property was fully transformed. Brand new: siding, driveway, walkway, windows, sprinklers, sod, garage door, AC, water heater, chimney, kitchen, bathrooms, flooring, lighting AND MORE!!!. Absolutely beautiful and move in ready. Must see to appreciate all the attention to detail. There is no other home on the market like this one. Exterior was professionally landscaped, finished garage, custom fireplace and chimney with remote control. Kitchen included pendent lighting and brand new appliances." "Let's start by telling you this property has a 13,850 lot size. Create your own out-door living space, there is room for a swimming pool & spa, open-air patio Pergola's, guest house, ADU, sport courts or just use your imagination, the possibilities are endless. 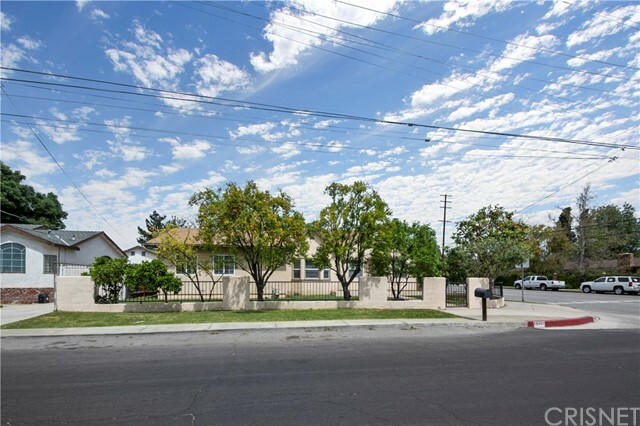 Completely gated single story residence on a corner lot with side rolling gate access on Haskell. Spacious open floor plan living room features a traditional fireplace, recess lighting & tile flooring adjacent to a semi-formal dining area overlooking the rear yard and wood decking that is perfect for outdoor entertaining. Modern kitchen with wood cabinetry with plenty of storage cabinets, granite counter tops, double stainless steel sink, tile flooring plus recess lighting. The individual laundry room is a big plus. Bedrooms #1 & #2 offer laminate flooring, recess lighting, raised panel doors plus wall to wall closets with hallway access to a 3/4 bathroom and a full modern bathroom. Bedroom #3, feels like a master suite with recessed lighting, raised panel doors, laminate flooring & mirrored wall to wall closet storage. Master suite is enormous with it's own private updated full bathroom, recessed lighting, laminated flooring plus mirrored wall to wall closets. Step-out into a wood deck adjacent to the 2-car detached garage with opener. Open flat rear yard is a must see, LAND, LAND, LAND!!!!! Buyer to verify permits on additions or modifications." 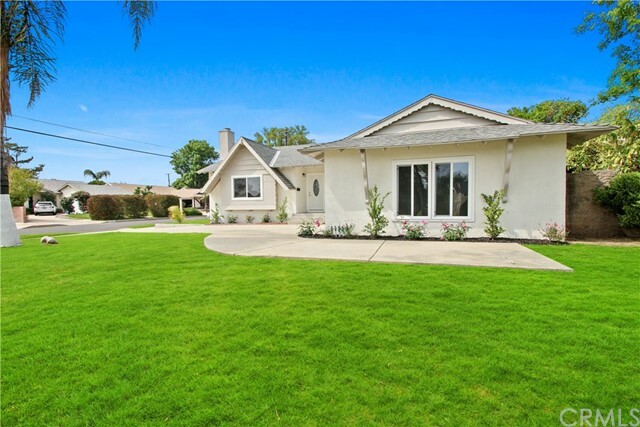 "Beautiful home in North Hills with nice curb appeal with the large shady tree and lush green grass. As you enter this 1494 sq ft home you will encounter an open and spacious living room w/ a dramatic fireplace and drenched in natural light from a multitude of windows and slider doors that lead to the backyard with a sparking pool.new laminate wood floors and new interior paint throughout. Remodeled kitchens abundant cabinet space, new stainless-steel appliances, new quartz counter tops,and the adjoining convenience of the dining area. All 3 of the bedrooms are generously sized and feature new carpet. Other features include, New roof, new windows,new interior and exterior paint, new AC and furnace, new light fixtures and indoor laundry area.The Bathrooms have new tile flooring, new vanities, tiled showers and new fixtures. The large backyard boasts 7515 sq ft and will be a favorite entertainment destination, featuring a private backyard that has shady trees and a pool." "5 Bedroom, 3 Full Bathroom, recently reduced price. Amenities you normally only see in a house over a million dollar home but have to move out of state so your gain at a great bargain. Gated community, detached home with own no maintenance vinyl fence, with low $100 HOA a month; new kitchen with all new custom cabinets and marble counters and marble floors with new lighting, farm apron sink; dining room comes with TV and fireplace; all bathrooms have jetted tubs, wall to ceiling tile, marble floors, marble or granite slab countertops, showers also in all bathrooms with SPA massage jets on wall and giant waterfall shower heads with one bathroom with a dual shower head, new lighting and in ceiling speaker throughout home; roof covered with sky lights outdoor living area with plumbing under the concrete slab for gas BBQ, fire pit, electricity, hot and cold water, comes with brand new hot tub never used; 2 car garage with own 1 car extra spot next to garage plus guest parking. FYI the lot is actually larger than listed can't seem to change it in the program." 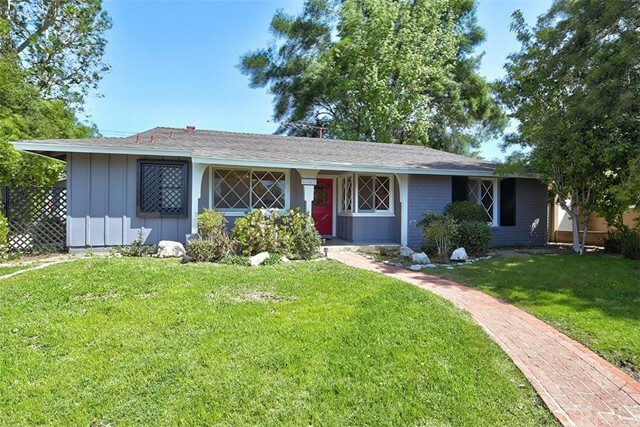 "Darling single story ranch style home situated on a quiet cul de sac. This house has been lovingly cared for and enjoyed by the current owners for the last 20+ years. At first glance, you will appreciate the fresh new exterior paint that adorns this home. 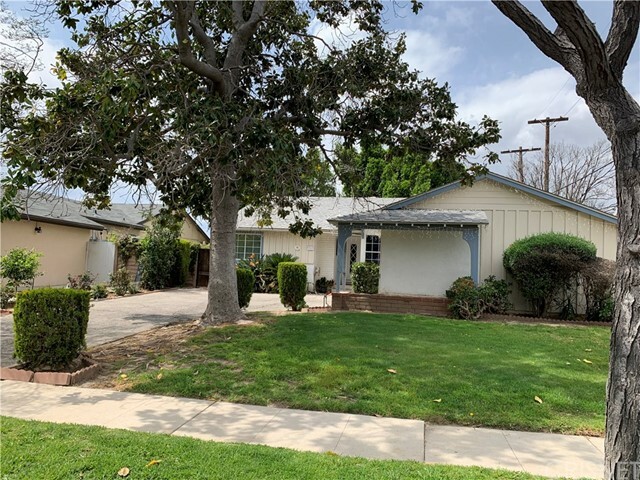 This property offers an updated and open kitchen with granite countertops, large living room with fireplace, new water heater, 3 spacious bedrooms, laminate floors in the dining room and kitchen and a detached 2 car garage. A spacious backyard lends itself perfectly for entertaining." "Welcome to this pride of ownership home in a gated community! Vaulted ceilings welcome you home to this 4 bedroom, 2.5 bathroom, 1999 built home, that still feels like a modern construction home! This beauty offers an open kitchen concept layout with an abundance of counter space, breakfast bar and walk in pantry! There is a den and dining room combo adjacent to the kitchen with fireplace and backyard access perfect for entertaining guests! The Master suite offers enough room for a sitting area and 1 walk in closet and a 2nd ample size closet! The Master bathroom consists of a jetted tub, separate stand up shower, water closet and dual sinks! There are 3 more bedrooms upstairs, one bedroom even offers a walk in closet! The hallway bath upstairs has dual sinks and bathtub/shower combo! The low HOA of $120/month offers gated community access, gardening and street maintenance! New construction a mile away starts in the $700,000's, do not miss this great opportunity!" 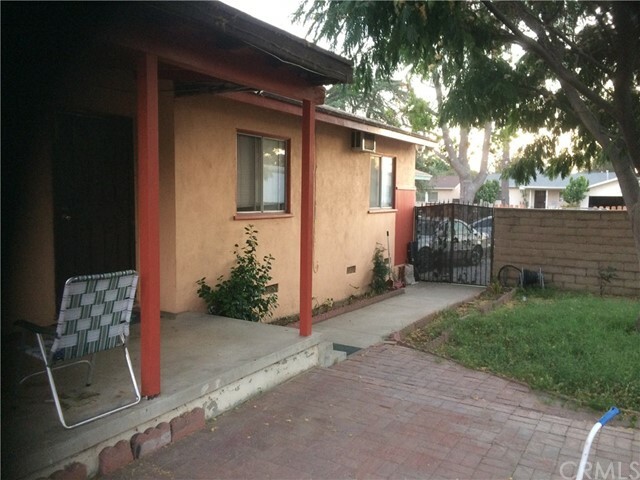 "Great opportunity in North Hills at a fantastic price. Situated in a highly-sought out neighborhood, this home has plenty to offer. Well maintained and spacious throughout. The kitchen offers a clean environment with plenty of counter space, large cabinets, and a breakfast area. The dining area is perfect for family dinners. The master bedroom has an attached master bath with dual sinks. This home offers four bedrooms, one of the bedrooms does not have a closet and was the extended area of the main living room. The backyard is large and shaded by mature trees, but still gets plenty of sun. Enjoy your Sundays under the covered patio. Your buyer is going to really like this house." "NEWER SMART HOME! Model perfect homes with all the designer touches. Choose your own flooring! The first floor of these superbly designed homes features open concept floor plans, large living rooms with lots of natural light, gourmet kitchens with granite counter tops, stainless steel appliances and walk-in pantries, a half bath, and direct access garage. The second floor boasts a laundry room; a spacious master suite w/walk-in closet and spa like bath, a full guest bath and 3 ample sized bedrooms. Home comes with a private fenced back yard, solar panels, electric car plug-in ready garage, security camera, dual-pane windows, and energy efficient lighting. There is also a community playground and picnic area, and plenty of guest parking." "Adorable Home with so much to offer. This home features 4 bedrooms 2 baths open floor plan to entertain gated front yard. 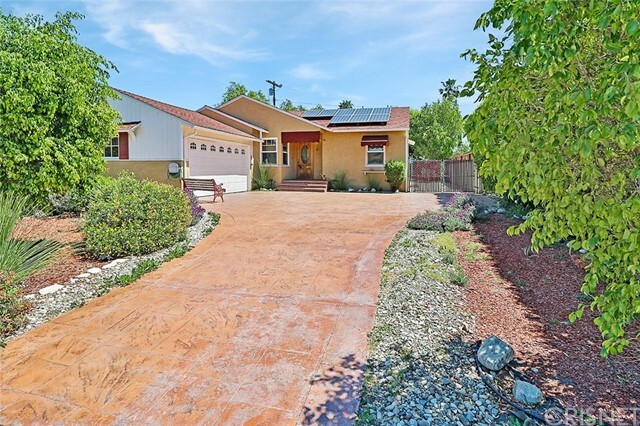 Where do I begin this home is the pride of ownership, with New Ac unit, New sewer line, Tankless water heater, New pavers in the front and back yard, Newer roof, the landscape is drought tolerant, did I mention it has space for RV parking. 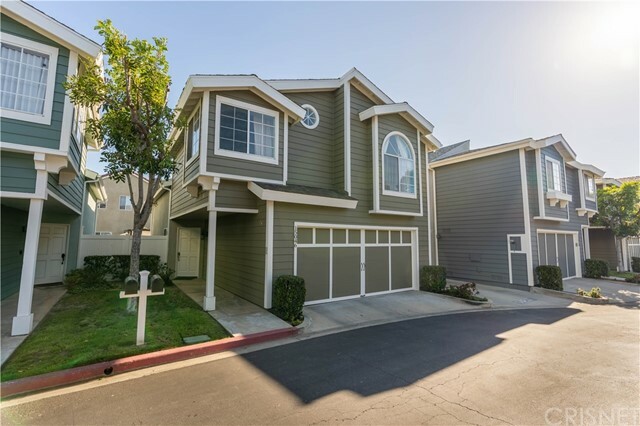 Close to freeways, restaurants, coffee shops, and schools! Must See!" 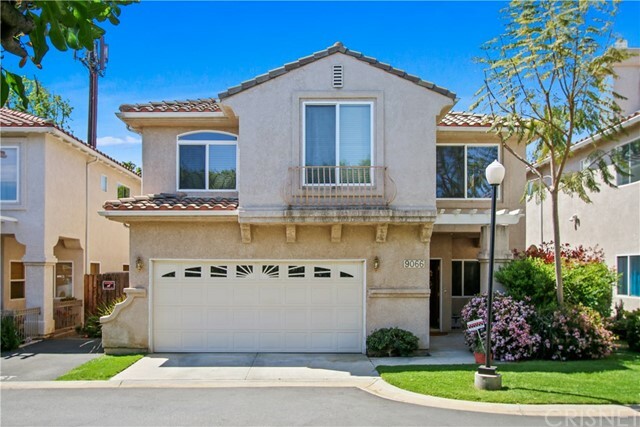 "This beautiful and highly remodeled North Hills Town home has 4 bedrooms & 3 Baths. Living room has 15' ceiling, wood floors, central heat and air. Fireplace in Living Room. Remodeled Kitchen with granite counter tops and high end appliances. High End Washer and Dryer. Plenty of natural light and wood cabinetry. Master suite has a spa tub, shower and dual sinks. Backyard has plenty of room for patio set, weekend barbeque's/entertainment or even a hot tub! Close to shopping and freeways. 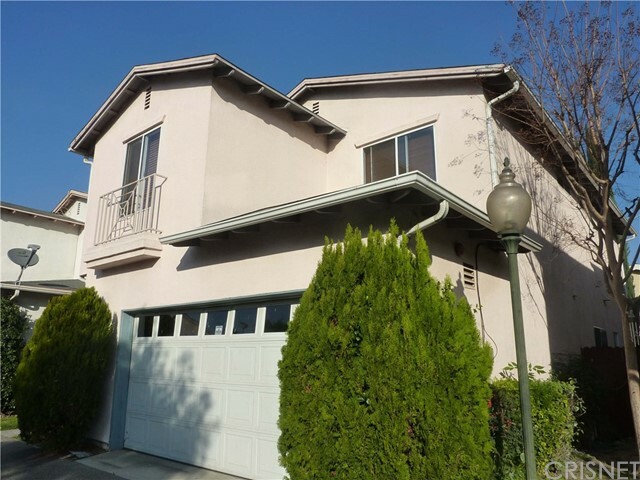 2429 1/2 Burnet Ave., #4, North Hills, CA. Wonderful opportunity!" "Charming Home in North Hills Neighborhood. Perfect for first time buyer, this single story home features 3 Bedrooms and 2 Bathrooms. Open floor plan with large windows in living room and dinning area giving lots of natural light. Hardwood floors throughout. Kitchen has an abundance of cabinet space dual basin stainless steel sinks nice breakfast nook with separate laundry room. The master bedroom features an en-suite bathroom and nice closet space. Ceiling fans in all bedrooms. Nice large backyard with covered patio, great for family BBQs. Courtyard with large tree for shade. 2 car detached garage with large driveway for extra parking. Close proximity to freeway access, shopping, restaurants and much more !!! This property will be a great place to call Home !!! PROPERTY SOLD IN AS IS CONDITION"
"*Your Beautiful Home Awaits - Gated Community!!! - Great buy for new homeowner or investor - spacious 4 bedroom, 2 1/2 bathroom includes wood flooring, fireplace, central AC & Heat, attached two car garage, outdoor enclosed Gazebo with Jacuzzi hot tub, large outdoor private patio deck - great for entertaining guests or simply to relax!!! *Low HOA dues and water is covered by the home owner's association!" "A delighted fully detached condo in the Cape West III Gated Community. Sunlight shines through the windows to warm and brighten the open living areas. Relax in the Great Room featuring high ceilings besides the gas fireplace or enjoy the perfect California weather outdoors on the patio. The cheery kitchen is host to a gas range, microwave, beautiful counters and plenty of cabinetry . The master retreat is expansive allowing its own R&R seating area or an ensuite office, walk-in closet alongside is the bathroom with its separate shower, tub and dual vanity. Two additional bedrooms and a 3rd bath on the second level are spacious and airy making them the perfect places to recharge. 2 car direct-access garage w/water heater in garage completes the picture. HOA includes water and common areas. Close to public transportation and Plummer Elementary School." "This home is located in tranquil gated community of Cape West IV in North Hills. 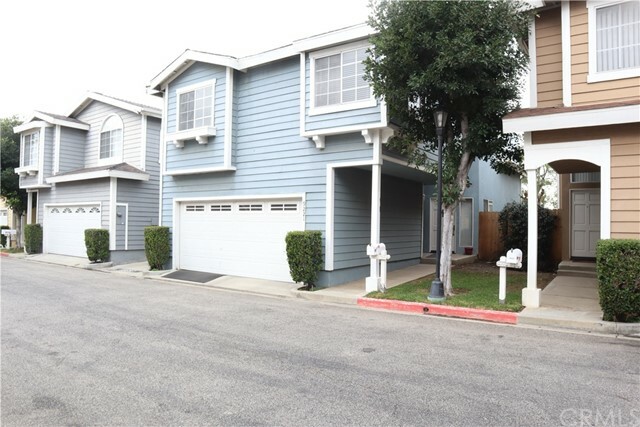 The beautiful detached town home has no common walls and a spacious private back patio area. The property features 3 bedrooms and 2.5 bathrooms. The exterior of the home was recently repainted, has a new garage door/motor, as well as water heater. The property also has solar panels which makes for great savings on utility bills. The current owner remodeled the entire interior of the home including the stunning kitchen with beautiful cabinetry and quartz counter tops. The master bedroom has a spacious walk in closet and cozy fireplace. The home also has a large 2 car garage that has direct access as well its own private patio great for entertaining guests or just to enjoy the warm summer nights."